This blog is six years old today. I have changed a lot in six years and the weight of my old posts has begun to feel oppressive, so I won’t be updating this blog any more. However, I will be writing at my new blog nothing was disastrous, which currently feels wonderfully clean and empty and full of promise. 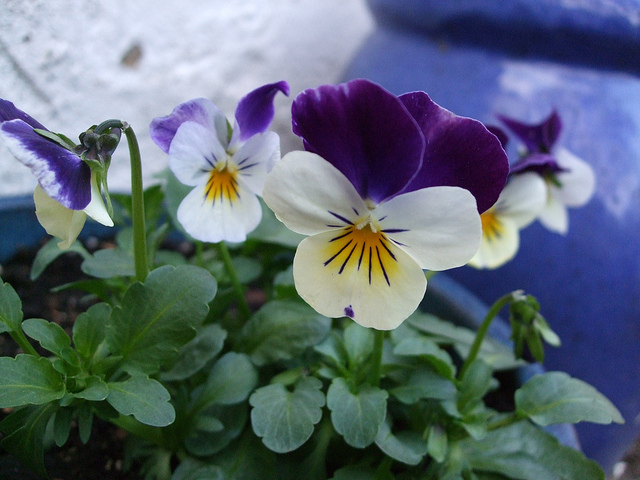 And because one blog isn’t enough to hold me, I’ll also occasionally be updating my clothes blog neat but not gaudy and what might, hopefully, become a garden diary at a lovesome thing. You know when you pick up a book in a charity shop and it prompts an unexpected flood of memories? This happened to me when I chanced upon a copy of The book of thousand poems for the young and the very young. The dustjacket was unfamiliar but I opened the book and immediately remembered it vividly from my own childhood. The book of a thousand poems had a certain romantic resonance for me even when I first encountered it as a primary school child because it wasn’t a new book even then. It was one of a handful of books my mother had kept from her own childhood in the 1950s: I also remember all four books in the Little Women sequence, Black Beauty, and the Susan Coolidge books about Katy. It was a chunky little black volume with a battered cover; my mother, who never throws anything out, may still have the original but undoubtedly it had lost its spine by the time my three siblings and I had finished with it. Its physical appearance added to the romance: solid and black, it was one of the books that was always used as a schoolbook when we played old-fashioned school, or as a spellbook when we played witches. Looking at this copy I see that it was first published in 1942, which would explain the soggy rationing-era paper which was used for my mother’s copy. I bought the book, of course – £1.99, a bargain. I’m amazed to find how much of the poetry in it I remember. The poetry of your childhood sticks with you, of course. I think I can still recite the whole of Janet and Allen Ahlberg’s Each Peach Pear Plum from memory; when I came across Don Paterson’s description of the poem as “a little machine for remembering itself”, it was Each Peach Pear Plum which first came to mind, with its neat form of looping rhyme and narrative. The poems in The book of a thousand poems are of, shall we say, mixed quality. The book is divided into sections, starting with nursery rhymes (mostly familiar and traditional), and following that with ‘Poems for the very young’; ‘Fantasy and fairyland’; ‘The seasons’; ‘Flowers and trees’; ‘Fables and stories’; ‘National and love of country’; ‘Prayers, graces and thanksgivings’. No modern-day gritty realism here: ‘traditional’ (for which read conservative) values, Christianity, and a determination to limit children to childish subjects only: fairies, flowers, Christmas and Easter. Most of the poems are like that: small poems which fit at least two to a page, a tumpty-tumpty rhythm, a solid(ish) rhyming scheme, and a conscious and condescending focus on child-appropriateness. Some are much better than others, but the majority seem to have been written in the first half of the twentieth century by people who were ‘writing down’ to children, carefully making sure that nothing troubling or unpretty was offered to little innocent minds. I read the whole book, though, many times over. I think what I got from it was the first inkling of the way poetry works, particularly with image and metaphor. The rhythms and assonances of the words never struck me (and don’t strike me now) as being particularly remarkable, but even the rather twee imagery of poppies dressed in their fluttering silken gowns and snow falling like feathers seemed beautiful and marvellous to me, and I wrote lots of poems in imitation. Those poems are all lost now, sadly. But looking at some of the poems I still like, it’s clear that a striking image or a clever metaphor is still irresistible for me. I wonder how much my taste was guided by this rather unremarkable book? * That’s not Lawrence Alma-Tadema, the Dutch painter of lush, swoony Victorian classical scenes, but his daughter Laurence, novelist and poet. and roused the town!” And so I took the blame. knowing the beast they feared would come again. I wait for the dark ending of the year. the wind plays, raises hackles. I change form. 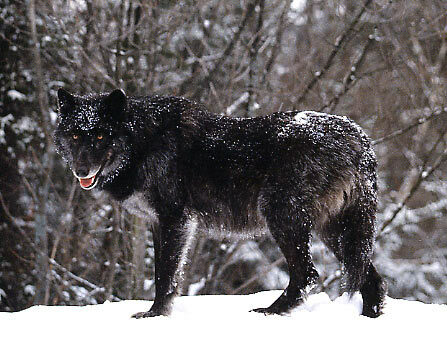 I am the wolf child. It is I they fear. Wer jetzt kein Haus hat, baut sich keines mehre. Lord, it is time. The summer was so long. and let the winds loose over the fields. the last few drops of sweetness into the wine. The one without a house cannot build one now. 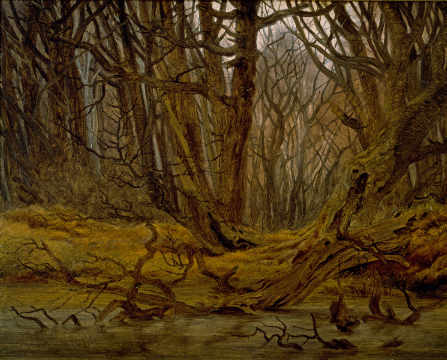 up and down, through the drifts of leaves. Mein junger Sohn fragt mich: Soll ich Mathematik lernen? Mein junger Sohn fragt mich: Soll ich Französisch lernen? Mein junger Sohn fragt mich: Soll ich Geschichte lernen? My young son asks me: Should I learn mathematics? My young son asks me: Should I learn French? What for, I’m inclined to say. That empire is going under. And you’ll be understood all right. My young son asks me: Should I learn history? Then maybe you’ll come through. 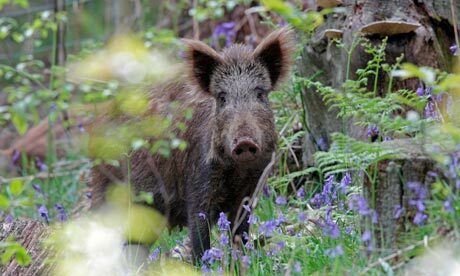 A very nice (and rather coquettish) wild boar, via the Guardian (George Monbiot’s piece on the re-introduction of wild boar to South-East England is interesting too). Thanks to the cohab for passing it on. Yes, it’s a video about ethical farming made by a fast food company, and yes, it’s Coldplay, but on the other hand, it’s extremely cute, and Willie Nelson! At a time when people are ruled by animals, and perhaps in an effort to ingratiate themselves, band together to form animal protection societies, there is perhaps not a lot of sense in talking about children, much less the children of refugees. But it still seems to me there’s a slight chance that a few people, even if they’d rather hear about parrots and sheepdogs than refugees, can’t quite bring themselves to be indifferent to the plight of children who were driven from their cradles as their elders were from their homes. Perhaps it may not be an entirely futile undertaking to show that not all children have the traditional look of so-called “childish innocence”; their early encounters with the Medusa have given them a different look. There are many occasions in my life–too many–when I get to meet refugee children. Sometimes I meet them in the waiting room of the police prefecture, where, after having walked so far, they get a chance to wait: wait for instructions, restrictions, objections, rejections, evictions. I have to say I like spending time in waiting rooms. Partly on account of the children, of course, but partly on account of the suffering I encounter here. The accumulation of so much grief makes it, so I’ve found, a little more bearable. In the beginning, as I was first making myself acquainted with the sufferings brought on by our hospitality, I supposed that children would know little or nothing about the misfortunes visited upon their parents. And it was on account of their ignorance and their unawareness that I felt sorrier for them than for their parents. It’s a fairly easy matter to believe that an ignorant human creature, a child, in fact, with that fabled expression of “childish innocence” in its eyes, would suffer more than a grownup who sees and who knows. Them imagine my surprise when I came to understand that the children knew more than their parents! And then, imagine what pain I felt on their behalf! Because–is there anything more painful than seeing knowing children? They know more than their parents. They see so clearly and pitilessly, that in fact it’s the parents who seem to have a look of childish innocence about them. That should tell you something about the times we’re living in! The children know–and their elders beside them seem to have no idea. No idea how they fell into the clutches of their terrible destiny, and there beside them are their knowing children, whose disillusioned eyes seem past the point of expressing accusation, and are already offering them forgiveness. From The white cities: reports from France 1925-39 by Joseph Roth (b. 2nd September 1894, d. 27th May 1939), translated by Michael Hoffman. Picture via the Oxfam bookshop. Happy new academic year! September still feels much more like a new year to me than January, especially because autumn is wonderful and January is dismal. I shan’t rehearse the resolutions I’ve made (I am always making resolutions), but in honour of the new academic year, here are my five favourite books about schools. One of my favourite books of all, anyway. Villette is such a weird little novel and the school in it is even weirder, all claustrophobic jealousies and neurotic competition. The portrayal of the headmistress Madame Beck, and spoiled pupil Ginevra Fanshawe bears out what Angela Carter wrote about Charlotte Brontë: that one of the most pleasing things about her is that she can sometimes be gloriously bitchy. If you only read one middle class, mid twentieth century girls’ school story, choose one by Antonia Forest, who is massively more talented than any of the other school story writers. She’s very good at the awkwardnesses and petty worries of teenage friendships. Autumn term is very funny too; Forest writes some very good sarcastic lady teachers. This is most fun for the central character, the fifteen-year-old Claudine, revelling in her last year as Queen Bee in her tiny village school. She is one of those characters who would be unbearable to know – so malicious! so full of herself! – but is tremendously enjoyable to read: clear-eyed and smart and funny, with no time for hypocrisy and stupidity. I’ve never been religious, but if I were to incline that way, Frost in May would work quite well as an antidote, I think. A lot of novels about schools are about the tension and claustrophobia of shutting up a lot of young women together; Antonia White adds strict Catholicism and some very scary nuns to this scenario. Reading Frost in May feels a bit like going slightly mad: you follow Nanda White’s initial revulsion at the cruelty of the environment, then her abject attempts to believe and conform, and finally her rebellion. 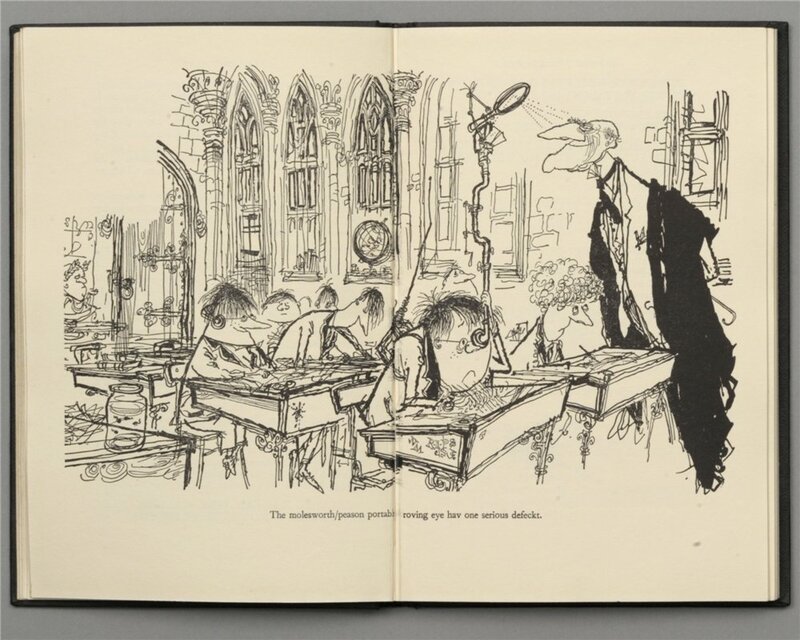 Other excellent novels about schools I could also have mentioned: Evelyn Waugh’s Decline and fall; Jane Gardam’s Bilgewater; RF Delderfield’s To serve them all my days; and dozens of children’s books, of course; and if you don’t follow @reelmolesworth on Twitter, you should. Suggestions in the comments for ones I’ve missed? 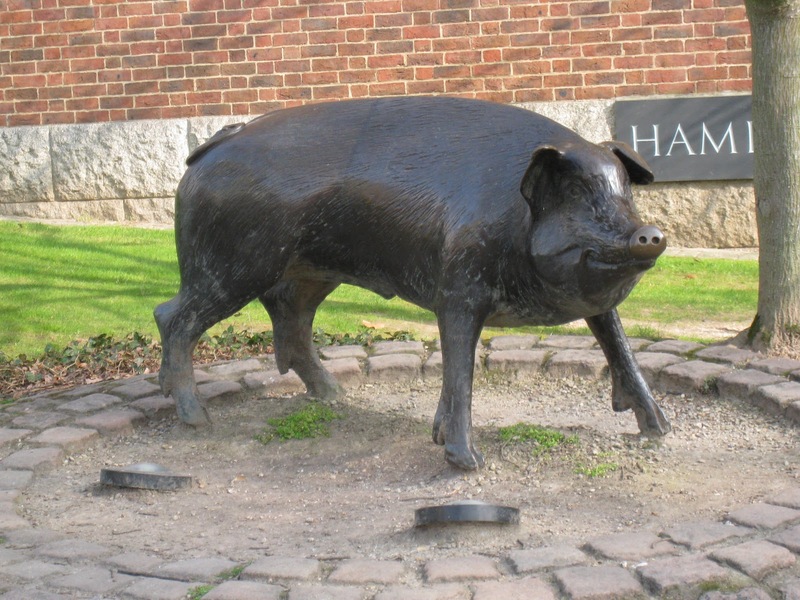 Statue of a pig in Winchester, with a fitting caption. Thanks to Sheila for sending me the picture! Too difficult to pick a favourite Leiber and Stoller song, but that’s one of my favourites. Unfortunately that’s the best video of Peggy Lee performing that song that I can find on Youtube. Here’s a better recording, but it’s not a real video. 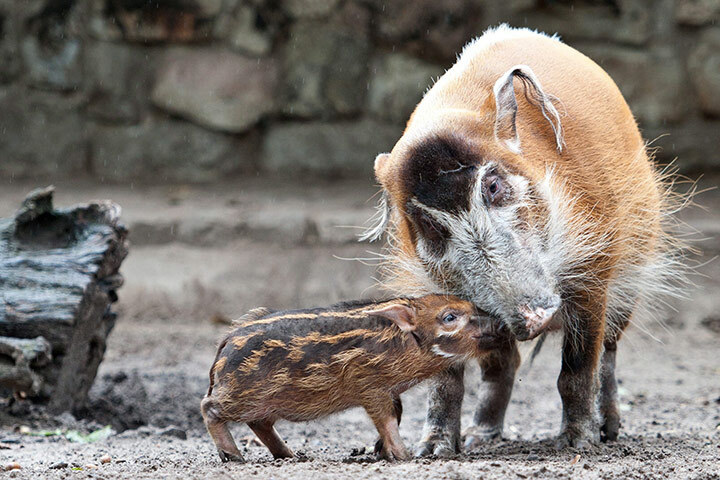 Red river hogs at a zoo in Berlin, from the Guardian. Does that mean they come from the Red River Valley? And the cowboy that loved you so true. Edit: Pig of the week readers who have been paying attention will note the resemblance to a previous pig of the week by Hans Hoffmann. Things I didn’t know: you can do an empty search on Amazon, narrow it by price, and then choose a category in the side bar. Which means you can find, for example, all the poetry books currently available for £0.01 (such a seductive price, even though it really means £2.81, a price which would make me think twice about buying a book in Oxfam but has me merrily clicking Add To Basket, or indeed Buy With One Click, on Amazon). If you look at everything available for £0.00 you can see the amazingly obscure things available for Kindle. Incidentally I’ve often thought that someone should map the speed at which individual books fall to £0.01 on Amazon. It must be related to two factors: inversely to the quality of the book and directly to its immediate success on publishing. Even really good bestsellers fall to £0.01 very fast; but terrible books which sell moderately seem to fall to £0.01 much faster than decent ones with comparable success. Someone should test this theory! It would produce a lot of attractive downward pointing graphs, too, which is always nice. And of course there are some books which just get more expensive all the time. There hasn’t been a pig of the week for some time. At least in part this is due to economics commentators messing up my google alerts with references to the PIGS countries. Ambrose Evans-Pritchard, at the Daily Telegraph, is the latest to commit this error; a particularly egregious instance as he actually discusses Italy’s situation. 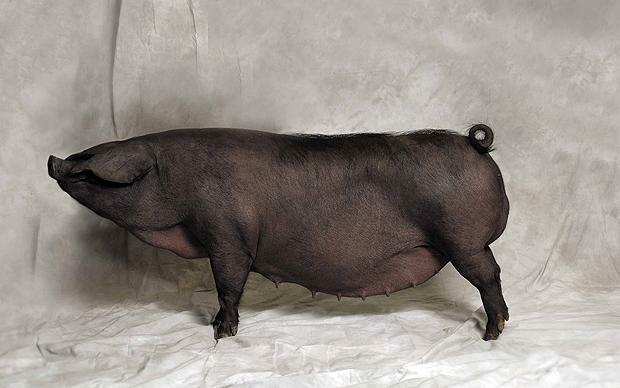 As we should all know by now, the Eurozone countries with unstable or possibly unstable levels of national debt should be referred to as the PIIGS countries. PIGS are a completely different thing. PS. However! I did not know until I read that article that Angela Merkel has a PhD in nuclear physics! That is pretty cool. 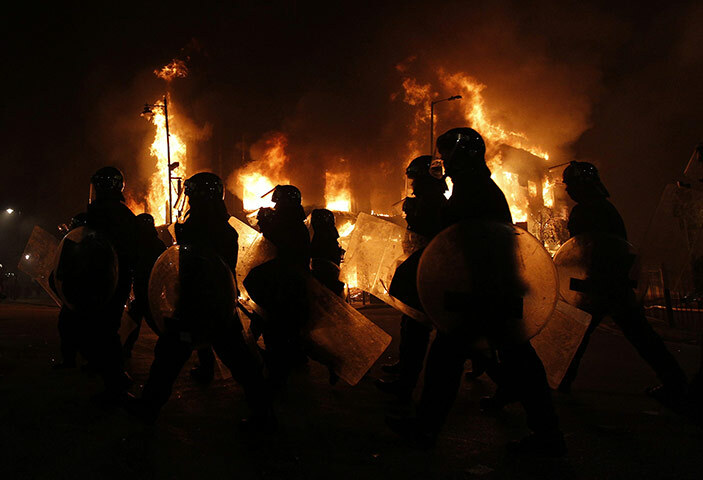 This is just a round-up of some of the better things I have read on the riots. I might add to it as I go along. Riots always start with an immediate grievance—a hugely corrupt police force shooting a man to death, this time—and become a free-for-all, where people exploit the absence of the law, in which the people who suffer are often innocent. Rioting is a politics of despair, but to claim that these riots are somehow different, somehow ‘neoliberal’, because of the allegedly novel phenomenon of mass looting, is asinine. It would be infantile to cheer on rioters against corner shopkeepers trying to defend their already small livelihoods; but equally so to pretend that this had nothing to do with the demonisation of the young and poor, nothing to do with our brutally unequal society and our pathetic trickle-down attempts at amelioration. Then we line up with those who think that looting Foot Locker is worse than the looting of an entire economy. As we face-off with the returned ugliness of the 80s British conservatism and increasing hostility, conditions are being set for a ‘police army state’. I was disgusted listening to a BBC Radio 5 reporter commenting ‘If you shoot at the police what else do you expect?’ I expect the police to arrest and charge their suspects. I expect individuals charged with crimes to face court and the full length of our judicial process as required. (The Guardian has since published information stating early ballistic tests show that all bullets were fired from the police – evidence of the false account used to cover police corruption.) I have not been so deceived out of my citizenship, nor convinced of the absent humanity of those of us living in the inner city, as to expect and humbly accept rising numbers of curious deaths at the hands of our police – and certainly not when they are all men of African-Caribbean descent. The truth is that riots almost always hurt poor, working class people. There’s no riot that embodies a pure struggle for justice, that is not also partly a self-inflicted wound. There is no riot without looting, without anti-social behaviour, without a mixture of bad motives and bad politics. That still doesn’t mean that the riot doesn’t have a certain political focus; that it doesn’t have consequences for the ability of the ruling class to keep control; that the contest with the police is somehow taking place outside of its usual context of suspicion borne of institutional racism and brutality. The rioters here, whenever they’ve been asked, have made it more than abundantly clear what their motives are – most basically, repaying years of police mistreatment. If this week’s eruption is an expression of pure criminality and has nothing to do with police harassment or youth unemployment or rampant inequality or deepening economic crisis, why is it happening now and not a decade ago? The criminal classes, as the Victorians branded those at the margins of society, are always with us, after all. And if it has no connection with Britain’s savage social divide and ghettoes of deprivation, why did it kick off in Haringey and not Henley? We create a system based on only-just-barely controlling (through law-abiding earn-and-shop mechanisms of governmentality) visceral urges to HAVE MORE SHINY EXPENSIVE STUFF all the time, and then have the cheek to regard those people who break down the shop windows (and the figurative barriers around that gluttonous drive to consumption) with disgust. What pigs – grabbing as many mobile phones and trainers as they can – we would definitely not do that; we have earned ours. To behave in this manner young people have to believe they have no stake in the neighbourhood, and consequently no stake in wider society. This belief is compounded when it becomes a reality over generations, as it has done for some. If the riots at the weekend and the disturbances around London today have come as a surprise to the police and that wider society, the warning signs have long been there for those of us who engage with black youths. One journalist wrote that he was surprised how many people in Tottenham knew of and were critical of the IPCC, but there should be nothing surprising about this. When you look at the figures for deaths in police custody (at least 333 since 1998 and not a single conviction of any police officer for any of them), then the IPCC and the courts are seen by many, quite reasonably, to be protecting the police rather than the people. Also, another good round-up/reading list at The disorder of things. The idea seems to be that those in social housing could just find somewhere else, they could just walk into private housing. Like the similar proposals for taking away housing benefit from miscreants, it is based on an inability to imagine what poverty is like, to think for a second what might happen to a family when it loses its income or its home. Given that the riots were largely concentrated in areas where extreme wealth and poverty rub up against each other – from Clapham to the Thames Valley, from Manchester to Bristol – it shows the total mutual incomprehension that we have for our literal neighbours. You could certainly be forgiven for comparing the fate of the Facebook pair to the MPs jailed for fraudulently taking tens of thousands from the public purse – whose average jail sentence came in at around 18 months. But it’s arguably even more instructive to look at those who merely paid back hefty sums for claims they clearly thought had been indefensible, many of whom are now cheerleading for the sentencing craziness that has seized the courts. Jews sans frontieres have a great set of links for a more historical perspective, including a recommendation for E.P. Thompson’s The moral economy of the English crowd in the eighteenth century, available here. So the bullet which was recovered from a police radio, supposedly fired during Mark Duggan’s arrest, is now discovered to be a bullet from a police issue gun. This is how the police and media operate in crisis situations when the police have really fucked up, and particularly when they kill someone. Immediately after the event there is a big, detailed lie. That lie says the police are completely innocent and acted in good faith and the victim was behaving in a way which meant the police had little choice but to use lethal force. The lie doesn’t necessarily come from the official police channels, but unofficial ones, a friendly officer briefs a friendly journalist. Sometimes (as in the case of Jean-Charles de Menezes) the story comes from a supposed witness who imagines a media-friendly version of events with a clear narrative and therefore gets airplay on every media outlet repeatedly for several days. Then it becomes apparent, thanks to the persistence of decent journalists and campaigners, that this version of events is completely, or substantially, untrue. But the correction doesn’t appear all at once as a coherent version of events; instead details are ‘clarified’ and corrected one by one until it becomes apparent that what most people understand to have taken place never took place at all. But by this time a lot of people are no longer following the story. So the public understanding of what has taken place becomes a mass of confusions and misunderstandings; some people know this detail; others think that’s wrong and have heard something else; a proper informed understanding of what’s happened is confined only to people actively following up every connection to the story. The problem is exacerbated by the laziness and irresponsibility of media commentators who don’t make the effort to be fully informed before they weigh in on an issue. It’s worth noting that the version of events on the Metropolitan Police press page has been simplified over the last couple of days, removing any reference to shots fired on the police. This may be due to the ongoing IPCC investigation. But the IPCC investigates every police shooting, so you would expect the Met to exercise caution in releasing details on the Mark Duggan case. …I’d like to suggest that it’s difficult to sit in a police car, fire a bullet from your own gun into your own or your colleague’s chest and then make the honest mistake of thinking that bullet came from the gun of a man sitting in a different car and that you must therefore shoot and kill him dead. That is not an honest mistake. That is not only a cover-up but a deliberate lie, and probably a murder. These strikes are wrong at a time when negotiations are going on. People have been let down by both sides – the Govt has acted recklessly. The kind of sweeping changes at the top which a good many socialists hope to see one day brought about in the Labour Party, and which would signify a major ideological shift to the left, would presumably, given the nature of the political system, have to be engineered from within the ranks of the Parliamentary Labour Party. But to say this is surely also to indicate how unrealistic that hope is. It is unrealistic because it ignores the perennial weakness of the parliamentary left. That weakness is not accidental but structural, which is why the indignation so often manifested by left activists at the derelictions of Labour Left M.P.’s is futile. The derelictions are real enough, but they are built into the system of which these M.P.’s are a part. Left parliamentarians operate within the rules of a game designed to limit their capacity and indeed their willingness to challenge their leaders. They are required to behave ‘loyally’ and to accept compromise in order to help maintain the ‘unity’ of the party. They must not give aid and comfort to the other side, most of all when Labour is in government, but also when it is in opposition. 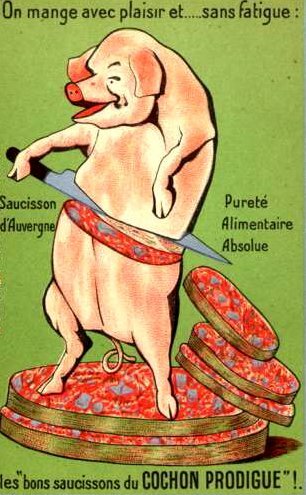 On mange avec plaisir et… sans fatigue: les bons saucissons du COCHON PRODIGUE. Via Sociological Images. I just found a Collected Poems of Adrienne Rich second hand today. This one is depressingly topical right now. Plus, the best piece I’ve read on DSK: Rebecca Solnit at Guernica Magazine. I haven’t been writing. I haven’t been writing because I haven’t been reading. I haven’t been reading, or going to concerts, or to the cinema. I haven’t been to the theatre in 2011. My brain is atrophying. My only cultural activity in the last two months has been going to the opera. I always get a reading block around this time of year. I wonder why? You know what, when I finish that little lot I’m going to read some really short, fun books. Suggestions in the comments, please. I haven’t even included Rick Perlstein’s Nixonland, which I’m a quarter of the way through, because it’s so enormously detailed I don’t think I’ll be able to finish it before Christmas. The first two hundred pages took me three months.